G-forces push you back in your seat. You shift effortlessly through the six-speed transmission, listening to the supercharged 351ci DOHC V8 engine as the view outside rushes by at over 200 mph. Is it a Ferrari Enzo ZXX Edo Competition ZR? Porsche 911 GTurbo 1200? Bugatti Veyron 16.4 Super Sport? Nope. It’s a Mustang. Or, more accurately, a Saleen 351 Mustang. 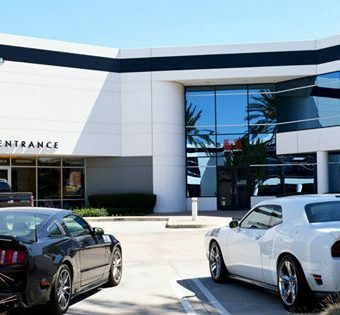 Ever since Steve Saleen founded his company in 1984, the Saleen name has become synonymous as a manufacturer of high-performance street and track vehicles for enthusiasts, vehicles that incorporate technology developed from the countless hours of seat time Mr. Saleen has put in since the late 1970s. As a manufacturer, Saleen has won 10 sportscar racing manufacturer championships, claimed countless podiums and set fastest laps at nearly every major racetrack around the world—not to mention the well-publicized Saleen/Allen Speedlab team with Hollywood star Tim Allen. At their facilities in Corona, California, Saleen manufactures the S302 Mustang, S620 Camaro and S570 Challenger using existing Ford Mustang, Chevy Camaro and Dodge Challenger chassis. 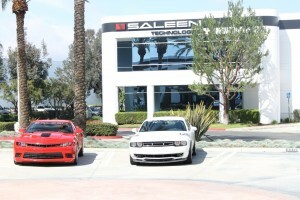 Saleen designs and engineers each base vehicle into a creation worthy of any world-class supercar. They leave almost no part untouched: engines, transmissions, suspensions, brakes, exteriors, interiors, tires and wheels. —Each is precision made to Saleen’s exacting performance specifications. You get world-class performance that’s well within reach of enthusiasts’ pocketbooks. 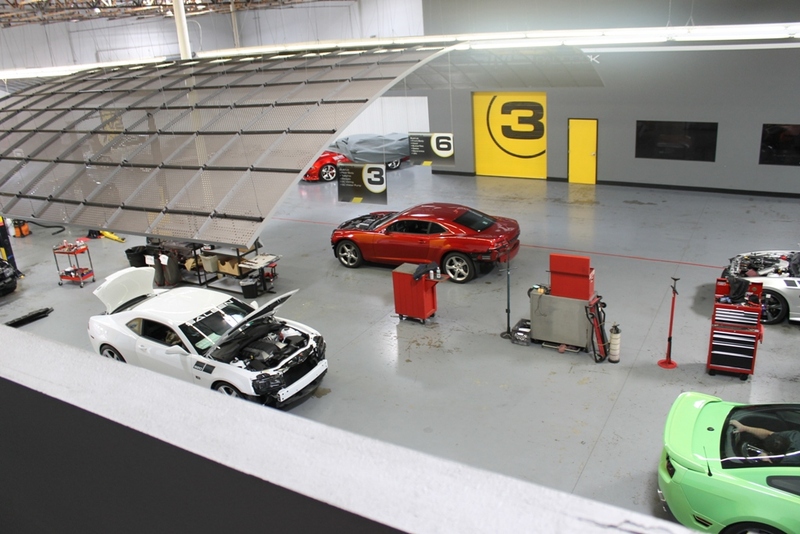 Amidst all the high-tech R&D and automotive parts, in a second story room atop Saleen’s facilities, sits an ordinary looking 3D printer: the AW3D XL from Airwolf3D. However, the plain looks are deceiving because the XL is as much about speed as a Saleen muscle car. In a conference room, Vice President of Engineering Sven Etzelsberger holds up a plastic piece that slightly resembles an oversized lipstick, but with complex grooves on the outside. It’s the prototype for a Saleen high-performance shift knob adapter. “It used to take six weeks to get one of these prototypes,” Etzelsberger explains. 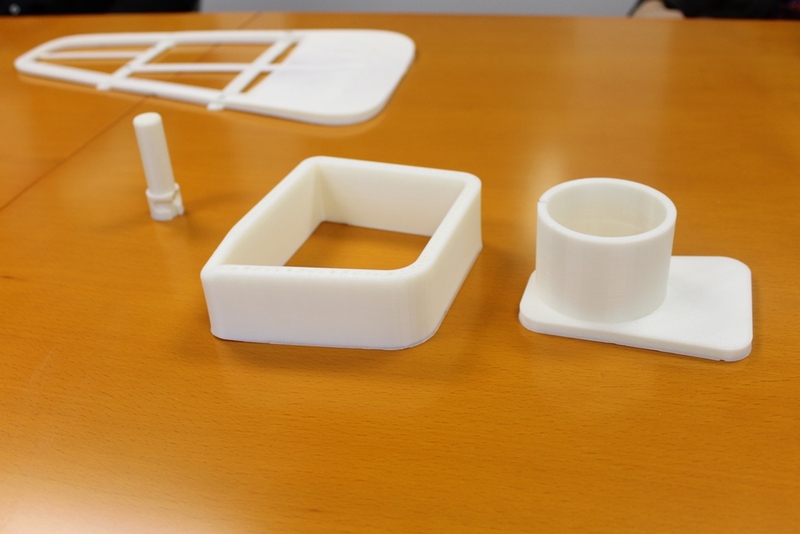 “It was a complicated process that included CAD designs, sending designs to a tool maker, having the prototype injection molded and returned to us. 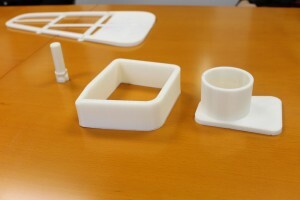 And if the prototype wasn’t perfect, we repeated the process until we were satisfied. 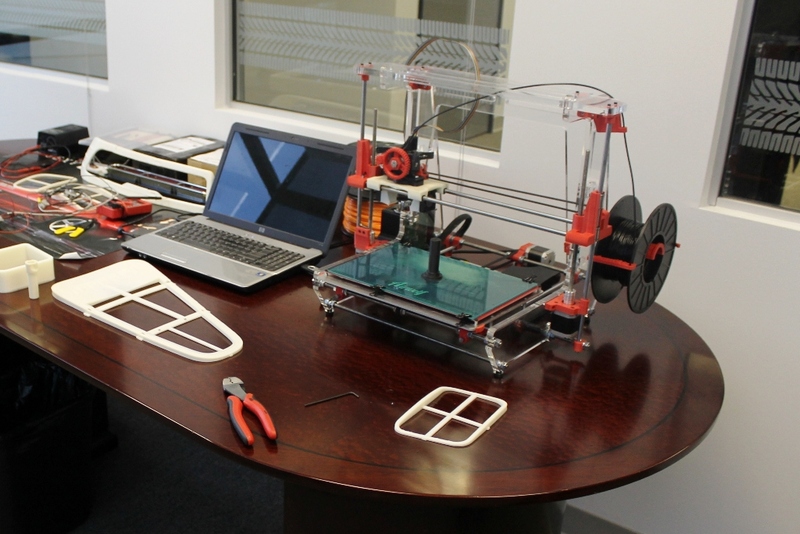 “With the Airwolf AW3D XL 3D printer, we accomplish the same thing in two days. 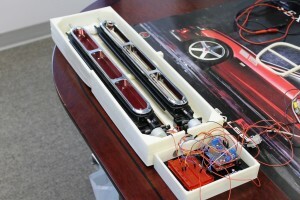 For Saleen, the personal 3D Printer Model AW3D XL has been ideal for making large-scale prototypes. The larger platform 3D model came fully assembled, calibrated and tested. Etzelsberger believes Airwolf 3D printers are much, much easier to use, maintain, and set up than the standard RepRaps. “It prints faster and more accurately than anything elsewe found, and with the AW3D XL Saleen can make models as large as 12″X 8″X 7”,” he notes. This entry was posted in 3D Printing for Automotive Industry, Blog. Bookmark the permalink.